The road to the seasteaders of Tahiti was a long, wet, windy one. Well, not exactly. But the road to the hotel was. It was also dark, and I had not driven in four months, let alone in the middle of a rainstorm. Kicking off my excursion into French Polynesia, I landed in Tahiti, where I was promptly greeted with traditional music and dance courtesy of colorful, beaded, instrument-equipped locals. It was the first time I truly felt welcomed when arriving in the European Union. Yes, Tahiti is in the EU, since French Polynesia technically belongs to France. But French Polynesia is a tax haven, and it basically operates as its own country. People speak French, but let’s just say… it’s not France. The singing and dancing to the ukulele tunes at the airport was the calm before the storm. Rather, it was the calm in the middle of the storm. I rented a car and proceeded to drive in the pouring rain to my hotel — an approximately 30-minute drive, when factoring in the storm, darkness, wet roads, my unfamiliarity with the turf and the fact that I had not been behind the wheel in four months. When I did finally arrive at my hotel, it was late at night, I did not have a reservation and I did not speak French. Conversely, the owner of the hotel did not speak English and did not understand my situation. I actually had a reservation, but it did not begin until the following night. Google Translate saved the day… or night. I may have been destined to meet the seasteaders (after all, they are my type), but that was not what I set out to do. 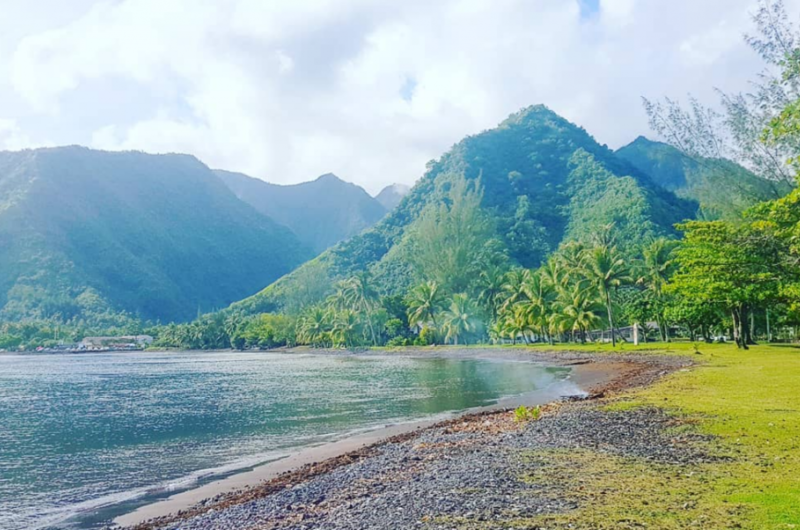 I set out to explore Tahiti, the cultural, political and economic center of French Polynesia. 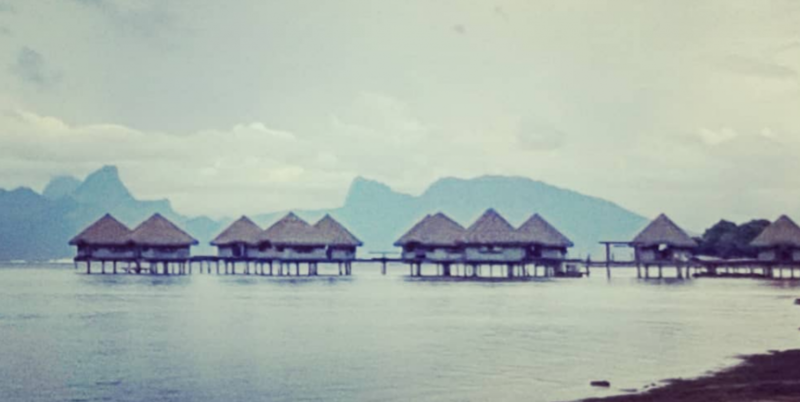 My first day in Tahiti was spent much like my first night — driving in the rain. 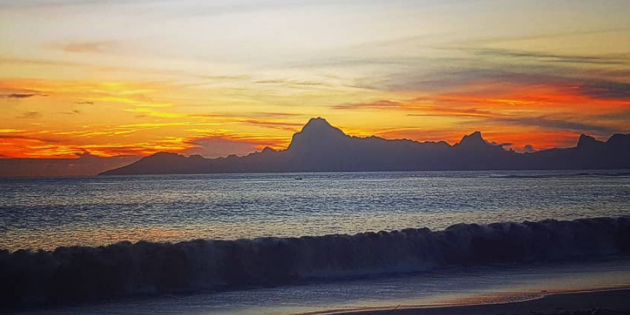 I drove around the island — without fearing for my life — stopping at different beaches, where I would sit in the car and enjoy the view. The rain did let up a bit, allowing me to check out a quite impressive waterfall surrounded by several shades of green canopy. Rain or shine, the cruise around Tahiti can get a little scary. I arrived in Papeete, the capital not only of Tahiti but of all French Polynesia. While driving around Papeete, I ended up in what seemed to me to be a ghetto. There were a bunch of big, tattooed men — some bad looking dudes, I would say. I spoke with a local, though, and that calmed my nerves. I was told, yes, the Tahitian ghetto people look dangerous. But, no, the rough-looking parts of town in Papeete are not dangerous. Sigh, again. 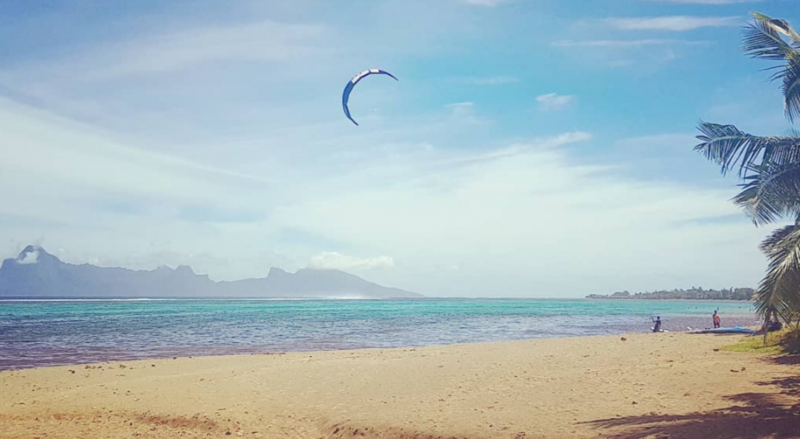 On my second day in Tahiti, the storm finally ended, and the weather really improved. The highlights of the tourist part of the day were a beautiful lookout point and … a McDonald’s. It was quite a funny sight to find a McDonald’s in this tropical paradise. But the Mickey D’s was not just there for show. About 200-300 teenagers were congregated there. I guess… what better things do you have to do when you’re a kid growing up in Tahiti??? But the highlight of my Tahitian day was of course not McDonald’s. After all, I didn’t even eat there. As alluded to in the headline and the hook (😉)of this blog post, I met some seasteaders in Tahiti. I also happen to meet the former tourism minister of French Polynesia — and you guessed it… there is a connection to seasteading. The former tourism minister of French Polynesia is an international businessman who — like myself — is working on a project or two that are important for humanity. He co-founded a company, Blue Frontiers, that is working on turning Tahiti’s lagoon into the world’s first proper seastead settlement. For those of you who are not anarchocapitalists or tech news nerds, seasteading is basically the creation of floating mini-nations, where people live freely and are not bothered by neighboring governments. In its infancy, the seasteading world is centered around Tahiti. And on my second evening on the island, I had the privilege of strategizing with some of the innovators who are developing these next-level civilizations, combining the innovativeness of Silicon Valley with the beauty of French Polynesia, all in an anarchocapitalist atmosphere. Stay: There are several fancy overwater resorts, but other islands are far more suitable for them. I chose the family Bed and Breakfeast “Pension La Plage” with the beach only separated by the island ring road. They have good breakfast and great location to explore the island in your own car. Also worth mentioning is the Tahiti Airport Motel, which offers surprisingly good comfort just a 3minute walk away from the terminal. Eat: Visit the McDonalds branch in the village in Southern Tahiti. Not necessarily for the fast food, just to indulge into Polynesian youth culture making the restaurant a favourite hang-out place. For a better, but expensive dinner, head out to the Blue Banana. Reservations recommended to secure a table by the dock where you may watch rays gliding by. Drink: While Papeete has its share of nightlife, I did not participate. Keep in mind that you cannot purchase alcohol for yourself after 12am on Sundays. Connect: Being the main island of French Polynesia, Tahiti has a pretty good mobile internet connection sufficient enough to stream movies without issues. On the island ring road this only fails very occasionally. Accomodation wifi is worse, but bearable. See: Rent a car and drive around the island. 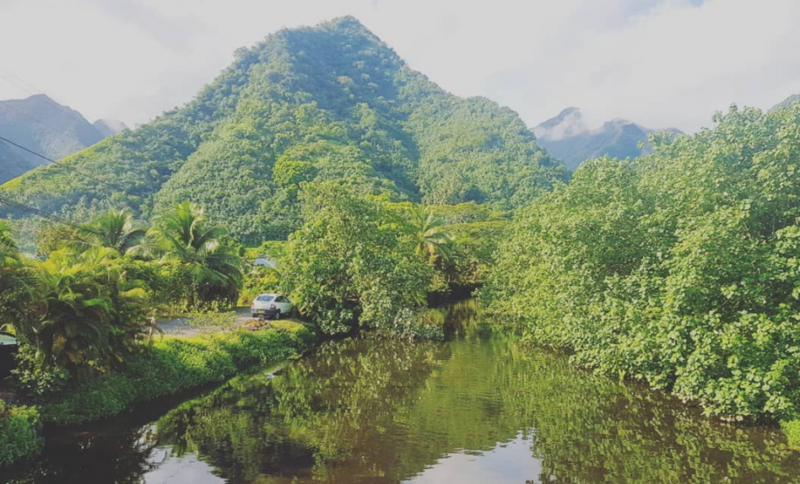 Not much to see in Papeete, but the interior with its lush green mountains is stunning. Dont forget the two lookouts in the very north and south of the island. Do: Go surfing in Tehaiupoo. If you cannot stand in those waves, bodyboarding is a local favourite alternative. But beware – waves can easily go 10m high. 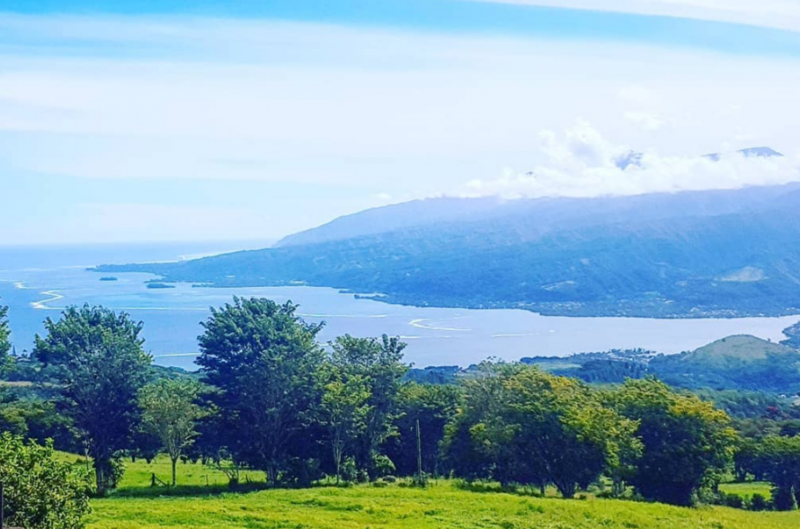 Go there: Tahiti has the main airport of French Polynesia connecting with various global destinations like New Zealand (Auckland, Australia (Sydney and Brisbane), Japan, United States (Honolulu and Los Angeles), France (Paris over LA) and Chile (Easter Island, Santiago). Next to most inland flights you can fly to Cook Islands and New Caledonia. Go next: Being the hub of French Polynesia, you can choose to which direction you leave. Within the islands, the logical step is to take a 30min ferry ride across the channel to beautiful Moorea island.